FOREVER FANTASY ONLINE comes out today! 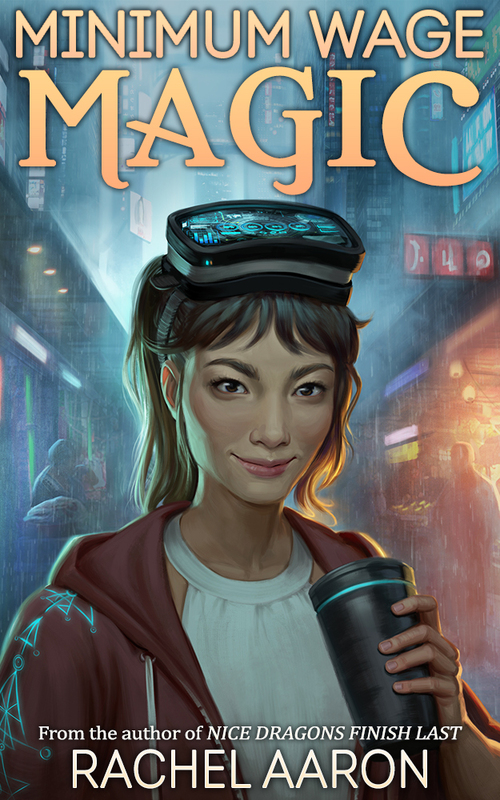 A thrilling new novel for fans of SWORD ART ONLINE and WORLD OF WARCRAFT! Get your copy in ebook now or in audio on June 5! Wow, busy month! It feels like I've been sending emails/posting blogs/updating social media nonstop recently, but we're at the climax now because FFO comes out today!! This launch is not Amazon exclusive! You can buy the book at all major ebook retailers or request it from your local library! 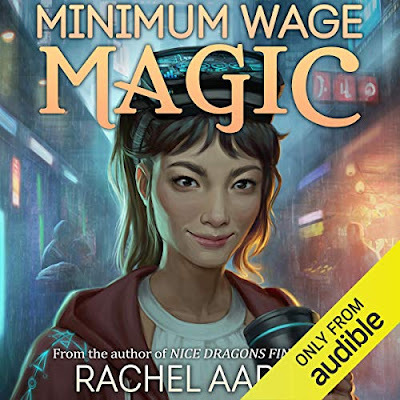 The audio edition comes out next Tuesday from Audible, but you can go ahead and preorder your copy here. We straightened out all our print issues with Heartstrikers 5, so print editions will be up soon. Thank you as always for being our readers, and we hope you enjoy FOREVER FANTASY ONLINE! Finally! 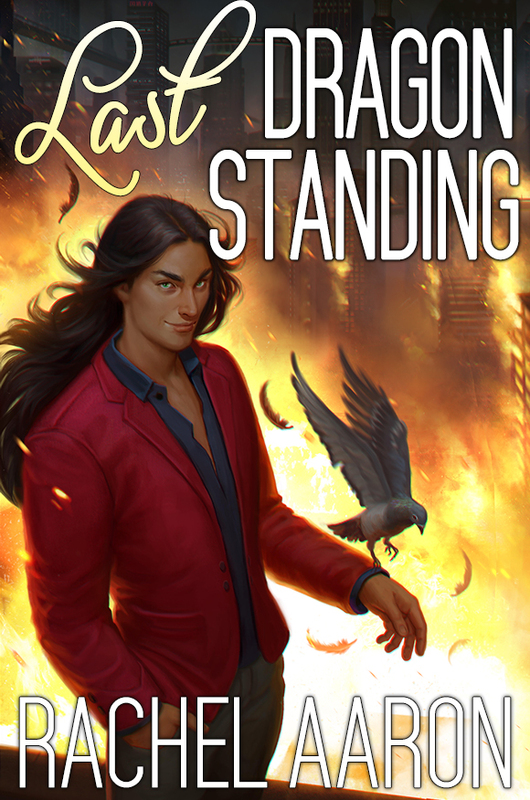 LAST DRAGON STANDING is available in print! Also, first look at sample chapters of my new novel! 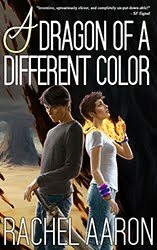 I know, I know, it took forever, but paperback editions of the fifth and final Heartstrikers novel, LAST DRAGON STANDING, are now available on Amazon.com! I am so so sorry about the delay. Trust me, I was as frustrated as you were about how long this took, but we had some problems with the printer and I wasn't about to ship you sub-standard books! Now, though, the wait is over, and your bookshelf can finally be complete with a full set of delightful (and terrifying) dragons! Enjoy! Bonus! Read a sample of my newest novel, FOREVER FANTASY ONLINE! 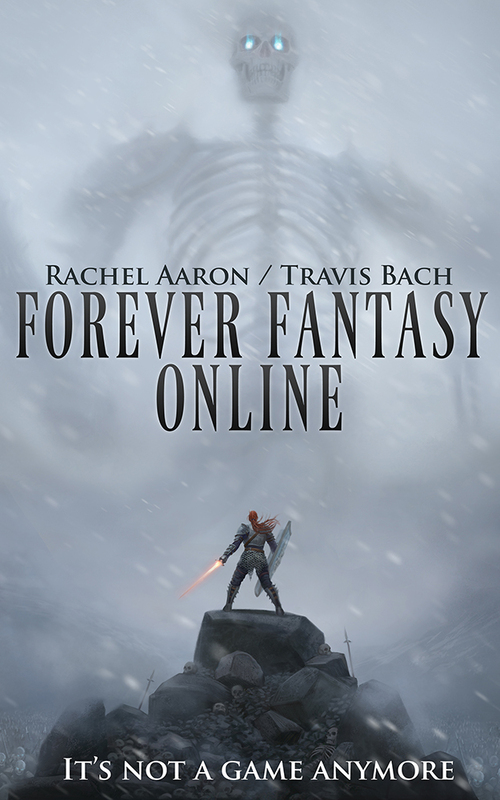 FOREVER FANTASY ONLINE comes out June 1, 2018! Pre-order your copy now! And that's that! Thank you all so so much for reading, and I really hope you enjoy all the new stuff we've got coming out! 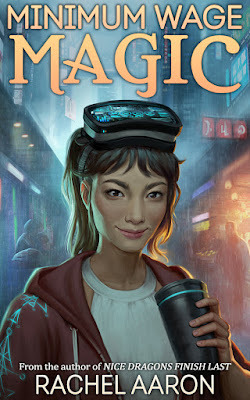 Secret novel drop! 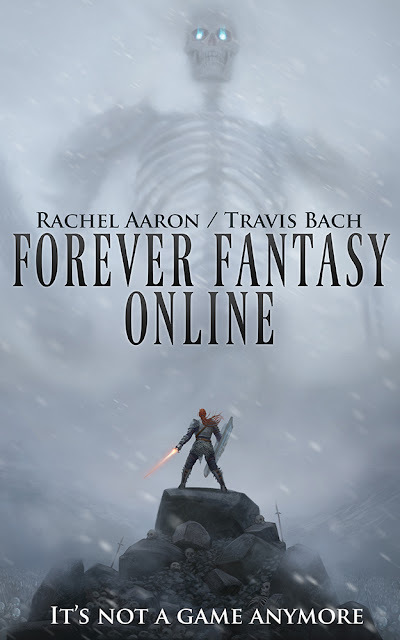 FOREVER FANTASY ONLINE comes out June 1! What! 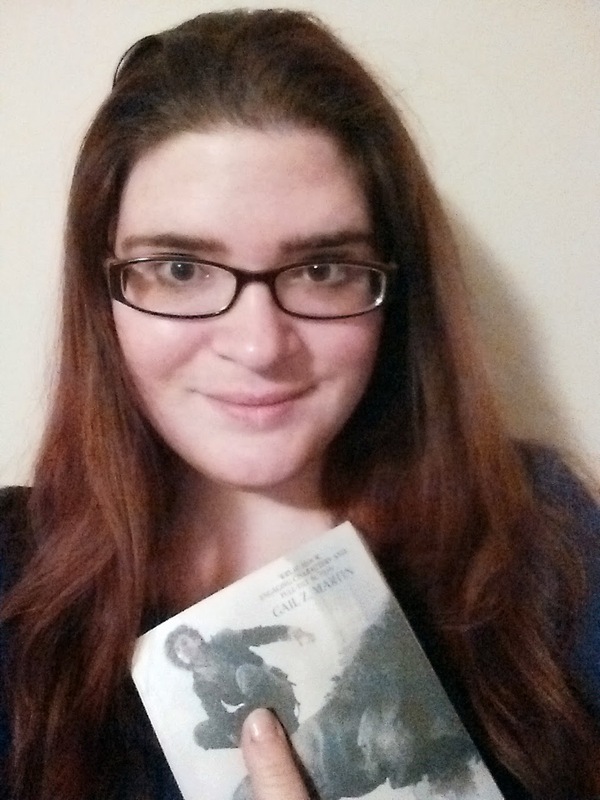 Rachel has a new novel? Since when?! A thrilling new series for fans of Sword Art Online and World of Warcraft! Coming in ebook on June 1 and in audio in June 5, but you can preorder both RIGHT NOW! If you follow my Twitter, you know I'm a giant anime fan and MMO nerd, so really, this novel was only a matter of time. But what you might not know is that my husband, Travis Bach, has been helping me with my novels since the very beginning. None of my books would exist without his help. Hell, he invented Julius! We've always been creative partners. Now, we've taken that process one step further and actually written the book together, and it is amazing. Good collaborations are a special sort of alchemy. Done right, you can end up with something that's greater than either of you could have managed alone, and that's what I think we've got here. I've never been more excited about a project. This book is our love letter to the online games we've played obsessively for over a decade. We wanted to show the strength, ingenuity, drama, and occasional hilarity of the MMO culture without painting over its flaws. If you're a gamer, if you liked Devi, if you liked Julius, you are going to love this book. Forever Fantasy Online is the first in a trilogy. The second book is already written and being edited right now, so you won't have to wait long for more (and trust me, you're going to want more!). For my audio fans, you're in luck! The audio book comes out on June 5th from Audible.com and is available for preorder as well! Better still, for the first time ever, the book will be available on all platforms! That's right, no more Amazon exclusivity. You asked, and we're finally delivering. The links are still propagating, but by its launch date, FFO will be available on all the major ebook retailers, including Amazon, Barnes & Noble, Kobo, Apple iBookstore, Waterstones, and in public libraries via Overdrive! 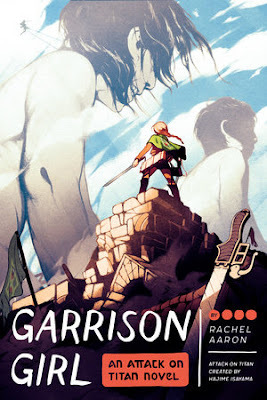 We'll have the full list on rachelaaron.net as links become available, but you should be able to get the book pretty much anywhere, and that's always a good thing! Can you tell I'm super excited about this project? Because I am SUPER EXCITED. Travis and I have been working on this book for over a year now, and I can not wait for you to read it! If you've liked my other novels, I really hope you'll give it a try. It's a bit different, but I feel in a good way. That will be up to you to decide, though. You are all the reason that I (and now Travis as well) write, and we both hope you love this new series as much as we do. 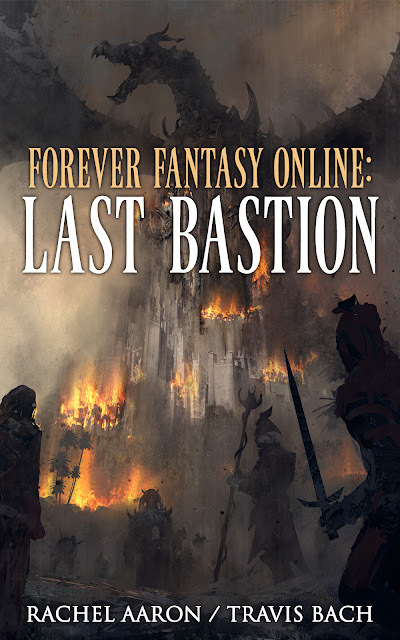 Thank you as always for reading, and we hope you enjoy Forever Fantasy Online! 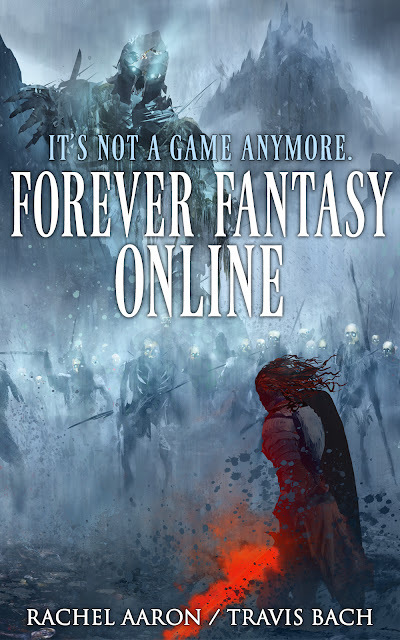 FOREVER FANTASY ONLINE is the first book in the FFO trilogy. If you're new, to my work, I recommend you start with NICE DRAGONS FINISH LAST. I promise you won't be sorry! It's here! 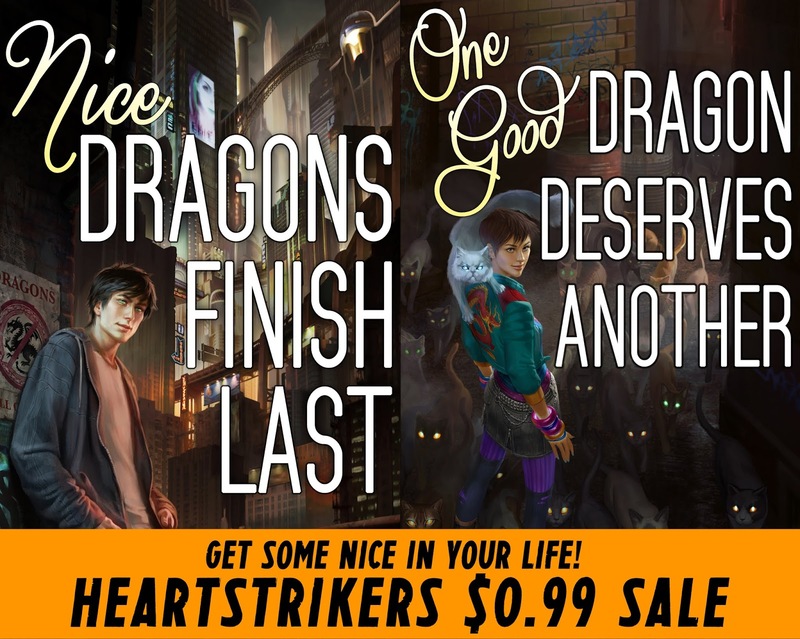 The fifth and final Heartstrikers book comes out March 1! But the Great Seer of the Heartstrikers isn’t the only one whose schemes are nearing completion. The Nameless End is coming, and even the machinations of the world’s most brilliant dragon seer might not be enough to stop it. 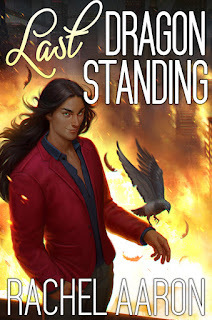 As everything comes crashing down, it’s up Julius to prove what he’s always known: that seers can be wrong, and Nice Dragons don’t always finish last. And so we have come to the end. 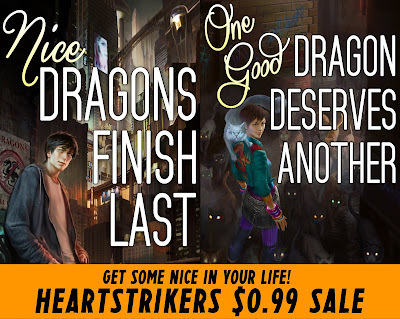 The fifth and final Heartstrikers novel, LAST DRAGON STANDING, comes out on March 1, 2018! This is Bob's book through and through. All of his machinations are finally coming due, and as always, poor Julius is the one stuck in the middle. But our little Nice Dragon surprised me a lot in this book, and I really think you're going to enjoy it! There's dragon drama, seer drama, end-of-the-world drama, it's epic! I can't wait for you to read it! 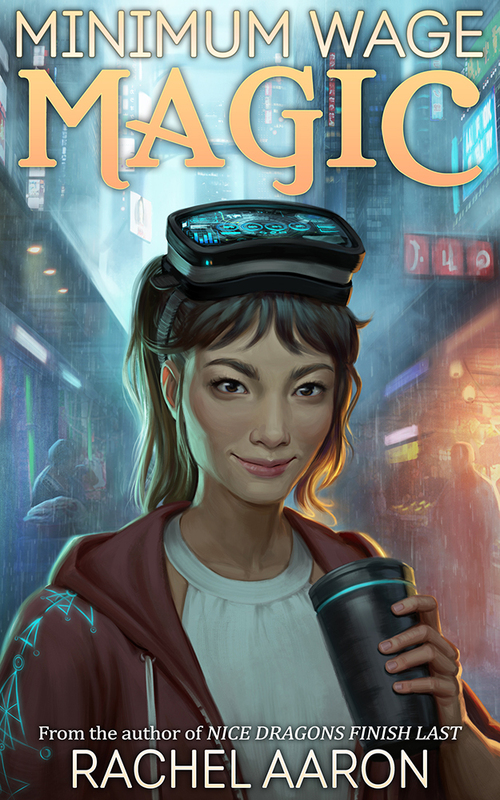 I also hope you LOVE the cover! As subscribers to my mailing list, you guys are the very first people to see it, and I could not be more excited. I think Bob looks amazing, and his pigeon is quite lovely as well. Bob is quite delighted she finally got on a cover! Thank you again to all of you for sticking with me all the way to the end. Julius couldn't have made it without you! I hope you love the end of his story, and thank you as always for being my readers. 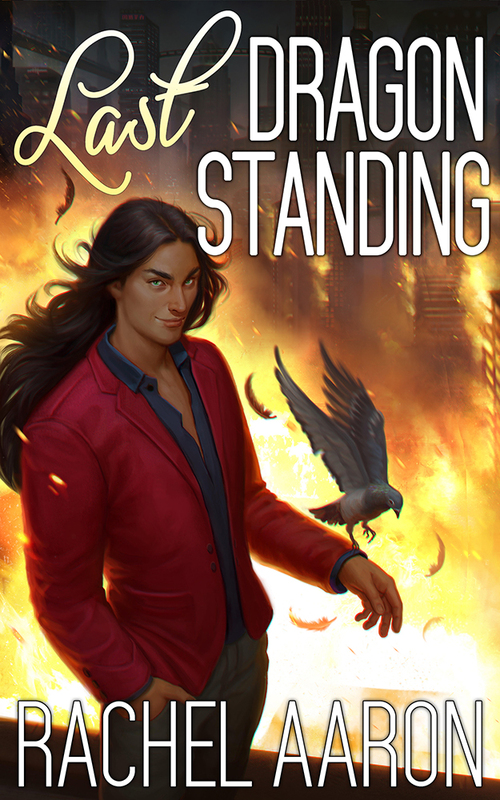 LAST DRAGON STANDING is the fifth and final book in the Heartstrikers series. If you're new, start from the beginning with NICE DRAGONS FINISH LAST. I promise you won't be sorry!